Why Coachella became Arichella this year! On Sunday, Ariana Grande made history at Coachella 2019. And no, it wasn’t because of the *NYSYNC reunion (Justin Timberlake was MIA, y’all!). It wasn’t because of guest appearances from Nicki Minaj or P Diddy either. No, it was Arichella this year, because Ari became the YOUNGEST artist to headline Coachella and she’s all set to repeat her performance for the second weekend as well. 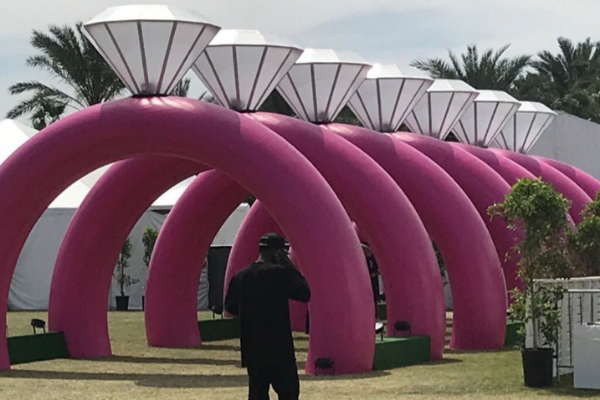 In anticipation, she even put up a merchandise pop up shop at the festival with seven diamond engagement rings with pink bands leading to her popup. “Humbled and excited as all hell @Coachella,” the 25-year-old shared on Twitter. That’s not all, Ariana Grande is the fourth female headliner of Coachella apart from being the youngest headliner at the festival only after Beyonce, Lady Gaga and Bjork.